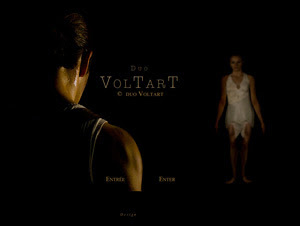 The new Duo Voltart site is up and running. After initial ideas of using papyrus or old paper background we dropped it for a more classic pure black and images of their exceptional act. The site is clear, simple and powerful. Making full use of Flash and its ability to make it a seamless user experience and being able to format exactly as the client wants. The is dual language in English and French and relies on easy importation of text files for the content. We have recently been working on a Flash based web site for multi Juno Award winner Karin Gauvin. Karina is Canada's star Soprano singer and wanted a new site reflecting her and her art. Its been a real pleasure and a great creative journey to create a site that gives off the right feeling in a visual, interactive and audible way. New site link coming soon.